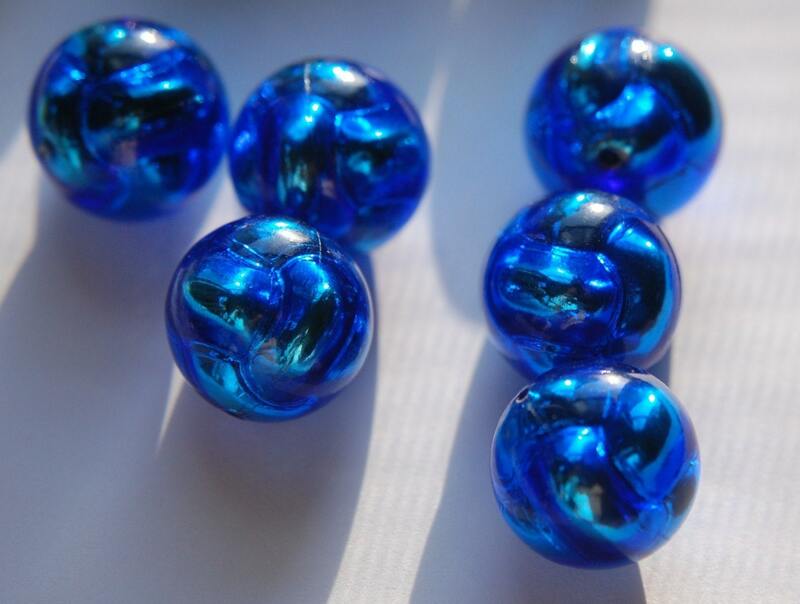 These are vintage plastic beads that are pretty unusual. 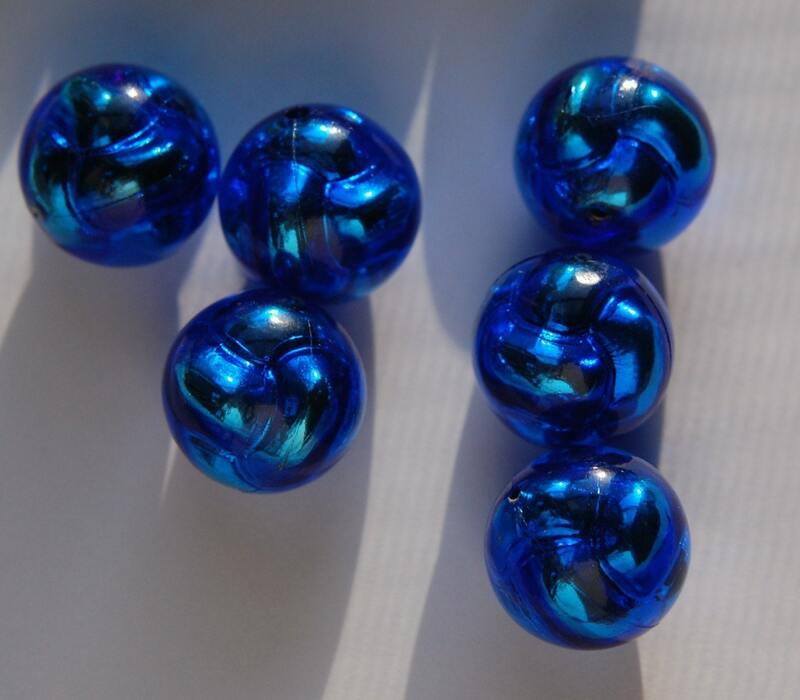 They are a smooth transparent dark blue bead with a silver colored knot design in the middle. It is a cool look. It makes the bead look like it is bumpy but it is smooth. The silver knot looks like those silver mercury colored beads. These measure 18mm. You will receive 6 of them. I am posting these in other colors as well as in a cabochon. these are so gorgeous. Love them. fast mailing, Thank you. Wonderful product and fast shipping!! nThank you.